Waterwitch, barquentine, a long and astonishing sea story. By Gordon Frickers 40 x 50 cm (16″ x 20″), oils, original Sold to a private collector. You have found examples here. A ship already famous before she completed the last engine less British merchant sailing ship built 1872, ‘last voyage under the red Duster’ completed at Par, Cornwall on the 17th of May, 1936. “Waterwitch” off Gribben Head’ is available as a signed limited edition printed on canvas. Many of the copies already sold were purchased by descendants of ‘Waterwitch’ people, claim yours, become to hold a part of the ‘Waterwitch’ story. “Life at sea was easier than farming”, why is mentioned in the following text that even touches on the Rev. W. Awdry, the ship Cutty Sark and the Authoress Daphne Dumurier. “Waterwitch has arrived! She’s lovely, thank you very much and I know Deana (my daughter) will be just as delighted as I am when she sees it and knows that she will inherit it one day“. Here we have a classic painting and a classic sea story. The barquentine “Waterwitch” we see here off Gribben Head was built at Poole, Dorset as an ocean going brig and operated as such, a deep water trading vessel with 2 masts both square rigged. She traded coastal in particular to Hull, Newcastle, London, Liverpool, Swansea and to much of Europe including the Spanish Islands for fresh fruit, even to North America. In her later years she experienced many aspects of the home trade eventually owned at and operating from Fowey, Cornwall as part of the John Stephensfleet. Of her early voyages, we know she started in ballast from Poole for Swansea where she loaded coal for Dieppe. In those days the British still favoured brigs over schooners. She worked in the fruit trade were she was considered fast. She then made 9 round trips to Sunderland for coal to Seaham harbour, Portsmouth or Cowes before making her first transatlantic voyage in ballast to Montreal for wheat which was discharged at Galway. Most of her voyages were in the home trade, frequently to France. 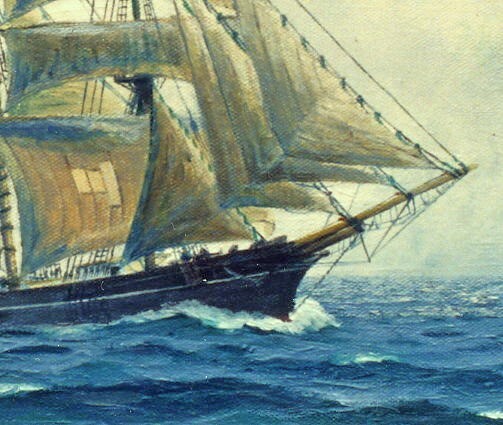 In 1872 Thomas Meadus completed 2 years building, when his new 206.26 registered ton brig “Waterwitch” put to sea. She was destined to become the last square rigged engineless ship registered at a British port regularly carrying cargo. She was 112′ stem to aft head posts, beam 25.8′, very solidly & soundly built, and apparently framed of surplus oak purchased from Portsmouth Naval Dockyard. 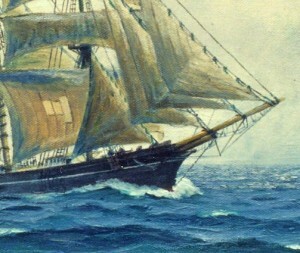 Her keel was American & English elm, the rest of English oak with 3½” (minimum) pitch pine for planking & English Elm below the waterline fastened with tree nails & yellow bolts, reinforced with iron Knees. She did not have a figure head. “Waterwitch” was originally rigged with double topsails, single top gallants and royals on both fore & main masts. She could set studding sails & was crewed by a master, Captain William Meades, certificated, aged 32 of Southsea, plus mate, cook, two able & three ordinary seamen. This was increased to 10 in winters. The whole crew of ten ate at the master’s table. 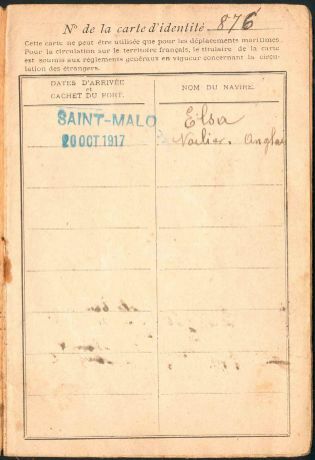 The master’ pay was £8:10s per voyage made very profitable if he did a good job of the ship’s office work. Crew sailed for a 30 day month at £5:10s for a mate & £3:10s for an able seaman. Second ship of the year 1872 registered at Portsmouth, she was owned by Henry & James Ash, coal & potato merchants. She had good (for the times) accommodation for her master, not unusual for vessels of her type. His paneled cabin set in the aft triangle of the ship was entered down a companionway that made a 90 degree turn in about 9 feet of fall. Cramped but comfortable, the 2 cabin sides were fitted with narrow hard upholstered seats, backed by panels rising 3 feet, above which were shelves with “stanchion” style fiddle rails, covered with “sea junk”. Above the shelf were paneled lockers to the deck head. Aft, a square mirror was let into the paneling. Built into the bulkhead, portside for’ard was originally a cast iron stove, later a cast iron fireplace; starboard side was a door leading to the companionway & the mate’s cabin. 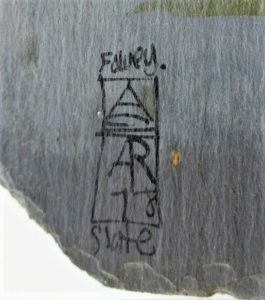 Between the seats on a single stem, a triangular folding table. The hollow structure of a skylight occupied part of the deck head, below it swung a large oil lamp & a tell tale compass was fixed at the aft end of the skylight. The master would be able to hear the helmsman above & the creak of the steering gear aft. She seems to have been a happy ship, throughout her life it was difficult to get a berth on her. She was not a particularly fast ship, but a powerful one. Well handled, she sometimes made 2 trips when most other ships made one. She soon built a reputation for speed which stayed with her for her life. She was badly damaged in foul weather in 1877 so had to under go extensive repairs. Her first change in appearance came after a collision in the Solent with a steamer that cost her bows, bowsprit & jib boom. Taken into Portsmouth by a naval tug, she re emerged with a straight stem & standing bowsprit, still no figurehead. Her next commander, Captain Madgewick had her altered in 1884 at Seaham, during a series of visits. As an economy measure she was altered to the handier Barquentine rig. Her masts were moved & altered & a mizzen added. Her foremast was re-stepped, the main yards moved to the fore & the main scrapped. She still sported Studding sail booms which she kept until 1916. During the changes she made several voyages & one result was her being listed at Lloyds before her new mizzen was stepped, incorrectly as brigantine. Captain Madgewick was unlucky enough to fall over board & drown, on New Year’s Day, 1885. Captain Harry Gardner took her next & under him she acquired the right to take her turn with fully powered steamers at the Northern loading piers at Hull and Newcastle. She acquired the nickname of Ash’s Steamer because of her reliable regular passages. She had a reputation for being a hard case ship, and was also known among the seamen as the “Portsmouth Workhouse“! For the following 38 years she worked mostly carrying coal from the North to the Camber at Portsmouth. She had too deep a draft to be really suitable for most coastal harbours. However, her modified rig was very successful. During these hard driven years she was maintained mostly at Littlehampton, Sussex, Harvey’s Yard. Their records show major services in 1896 for much replanking, 1901 for sheathing & again in 1907. She stayed with the Ash family until the firm was dissolved in 1905. She was bought by Lt-Col A.E. Flowers of Portsmouth & continued in the same trade. In October 1910 at the age of 32 she changed owners again, became a West Country, Cornish ship, purchased by Mr. W.J.D. Mutton of Fowey. She was refitted at Truro. She went to sea under Captain Thomas Mutton, based at Falmouth, trading mostly with China clay to the Mersey & began an even harder career, a new even more active life mostly to South Wales & the Mersey, the next Severn years being particularly adventurous. 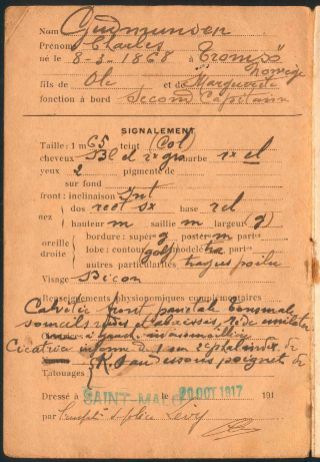 Besides the hazards of the sea she was in and out of France and she had 2 brushes with enemy submarines, the second being a torpedo attack which happily failed before the torpedo reached her. She continued to often carry China Clay, mostly to the Mersey. In 1916, Captain Mutton retired & was replaced by Captain Bate who sailed “Waterwitch” to France thence to the Mersey were she suffered a collision so severe she was 4 months under repair, a financial disaster. It was the beginning of a hard time for Captain Bate and his crew. At the first opportunity, repaired, she spread sail for the open sea; she left Liverpool, and the Mersey heavily laden with coal for her home port of Falmouth. Off the Longships rocks (Land’s End), a South – Easterly gale sprang up with a heavy threatening swell. Captain Bate decided to put her hard on the wind for the Lizard peninsular. They did well to clear Land’s End but found with the big seas and strong currents she could not weather the dangerous Lizard so he put her into Mount’s Bay to lie in the relative shelter of the lee of Mullion Roads. Two anchors were laid, soon both cables parted. “Waterwitch” was forced off the shore, her crew had to hurry to set sail & square away before the gale. With the small Port of Newlyn under her lee at the other side of the bay she had little time and little choice but to try for the wave swept entrance. The flood tide was making, there was 12 feet of water in the harbour entrance & “Waterwitch” had nowhere else to go except the beach or the rocks. Unfortunately, heavily loaded as she was and with that swell, she needed more than the 13′ 9″ she was drawing aft. As “Waterwitch” entered Newlyn Harbour she struck the bottom with such force that 30′ of her keel & her rudder were torn off. She was lucky not to be dismasted. The rising tide lifted the stricken vessel. Leaking badly, she drifted onto the North pier outside the harbour proper. The Navy intervened, using boats to tow her back to the harbour only to have her hit bottom again in the entrance. This time the shock upset her cabin stove. The resulting fire badly damaged her stern above the waterline. An attempt soon after, to raise her failed. Abandoned were she lay, poor “Waterwitch” was stripped to her lower masts & left to lay in the harbour entrance all through the winter of 1917. She filled with every tide & even after the Ranger eventually moved her to lie inside with the fishing boats, she presented a very forlorn sight, semi derelict, holed, singed, of use only to the gulls. Tenders were sought for breaking her, the end of “Waterwitch“. As the war was ending though, there was a severe shortage of shipping. Edward Stephens of Fowey bought her with her cargo. The Stephens were themselves descendants of a family well known in the fruit trade to the Azores. Thomas Stephens came & built a hut on her poop deck. He lived there & directed the discharge & sale of her cargo. He had her patched pumped & salvaged. Late one day in May 1918 she floated again. By 03.00 o clock in the morning, the day after next, she had been tugged to Par Harbour & gone into Ben Tregaskes dry dock. The veteran was to be rebuilt by the Cornishmen. They did “a proper job”! Supervised by Captain Deacon. All above deck was renewed including her bowsprit & jiboom, except the fore & main lower masts & no Royals were fitted. Below, a foot was cut from her draft & substantial repairs made to her vital timbers, hog, keel, keelson & frames. Then Captain C H Deacon took her, once more, to sea. She was never quite the ship she had been. It was considered though, that she was handier & better suited to the coastal trade. She could still make 9.2 knots when full & bye, she retained her reputation for fast reliable passages, handled well & most importantly made a lot of money. A typical master of the old school, Charles Deacon, born in 1862 at Beesands in Devon was an “unqualified” master of “Waterwitch“. He was a non-smoker & teetotal, universally acknowledged as one of the finest seamen & a hard driver. Two of his commands were sunk by enemy action, both during the First World War, the “Ocean Swell” and the “Bessie Stephens“. He was given command of “Waterwitch“, replacement for the “Ocean Swell” & stayed with her for 17 years. In latter days he was described as bronzed and gypsy like in appearance, including gold earrings. His dress invariably included a fur cap and 19th century style seaman’s leather thigh boots. Always a driver of ships, a favourite technique in light air and calms was to stand at the break of the quarter deck lighting matches to check for wind direction. After working on a farm, at 18 he went to sea in a Brixham schooner. He found he said, life at sea was easier than farming. Proud of being a Devon man, he soon took to sailing in Cornish vessels. He joined the Stephens fleet of Fowey & at the age of 32 was put in charge of a schooner. He was to remain in commands with the same owners for 42 years. During his time with Stephens no ship he commanded was lost by accident. After the war, the prosperous trades gradually declined. Keeping “Waterwitch” trading became slowly more difficult. Ridged economy kept her going well beyond most of her rivals. Gradually as cargo became more difficult to obtain, foreign vessels could trade on England and British could not trade in most of Europe, she was neglected and suffered accordingly. She still looked handsome, even when lying in Falmouth in the 1920’s near the restored “Cutty Sark“. See Last Departure and Last arrival. In 1927 off Rock Ferry Waterwitch was run down by the steamer Canadian Highlander. Her bowsprit was once again bodily wrenched out. 1930 saw her in Par Docks for extensive repairs. Her hull was still sound, but it was necessary to fit a new keelson. In 1932 she was still making good passages, Plymouth to Goole in 48 hours, Fowey to Antwerp with china clay, in 32 hours, dock to dock. She continued to have narrow escapes as well, almost blowing ashore with Flambourgh Head under her lee in 1930, developing a near fatal leak soon after, & losing a topsail yard off Land’s End in yet another gale. Freight was getting harder to come by & rates were low. 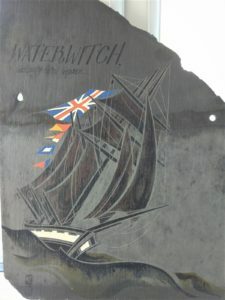 As other sailing ships, great & small disappeared; “Waterwitch” sailed on into a unique place in British history. After the loss of the Garthpool in 1929, her final great distinction was to be the last British square rigged merchant sailing vessel to operate out of a home port. More than the last great steel deep sea traders, “Waterwitch” fittingly represented the last of the old style of ships, her size, build, rig and mode of operation truly represented the once numerous & now ghostly fleets of old. As she became unique, so she attracted the attentions of journalists, artists and adventurous young men. Often holders of a master certificate in steam, anxious to add a square sail ticket to their record served her. She took to sea many experienced mariners for seagoing training for Trinity House. They wished to qualify for Pilot & needed time in square sail for a full ticket. In 1935, Captain B.R. Carrivick replaced Captain Deacon who retired & sadly died soon after. Carrivick sailed her well making many quick runs, Falmouth to Runcorn (on the R. Dee) in 7 days, Holyhead to Falmouth in 3 days. The end of the “red duster” under engineless square sail finally came when in the spring of 1936. Edward Stephens, last of the British ship owners & operators, died. “Waterwitch” discharged a cargo of china clay at Weston Point & lay there through April. When new orders arrived it was appropriately to load coal at Runcorn on the Dee, below Chester (see our picture “Port of Chester 1863“, complete with a schooner docking). She went to sea on the 5th of May bound with her final British cargo for Falmouth which she made, reliable to the end, on the 10th of May. She sailed again on the 16th of May, 1936 for Par. Arriving the next day she had quietly completed the last voyage ever made with cargo by an engineless British square rigger. She joined the “Jane Banks” (ex Frau Minna Peterson) which had also made an historic last voyage, thought barely survived it. Jane banks was the last British square rigger to trade abroad. Together they lay at first in Par harbour, latter on the beach outside, for 3 years. They became a forlorn sight as their yards went askew, weather bleached them & seagulls whitened them. The ships attracted many potential buyers. There was talk of them becoming training ships. Ben Tregaskis wanted to see her preserved for viewing, so the next generation “could see what they were like“. Eventually in 1939 both were sold to an Estonian partnership for approximately £1,100. 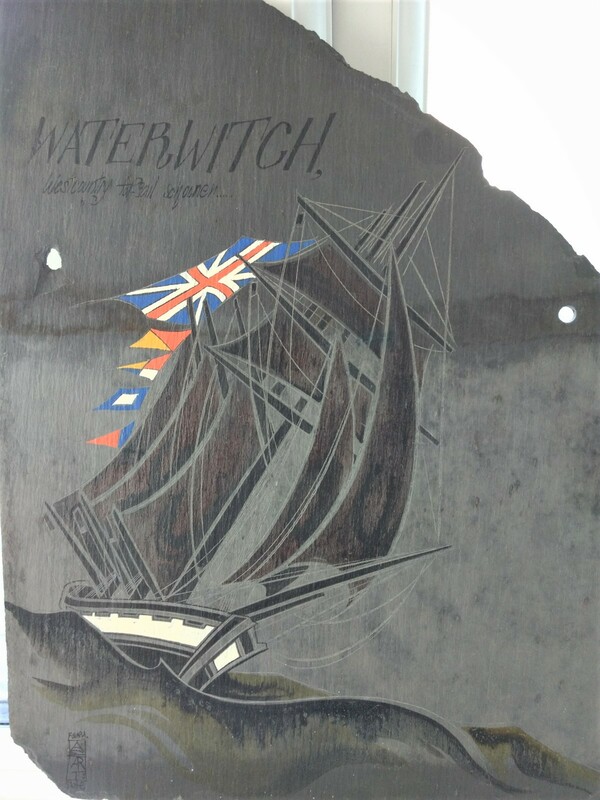 Waterwitch was sold to Estonia a year after Jane Banks having also been repaired by Ben Tregaskes of Par to Board of Trade standard. She was refitted for the last time at Ben Tregaske’s yard then, some say she loaded china clay at Par for the Baltic. It was also reported in the Cornish Guardian and Western Morning News she left Par in ballast, towed clear by 2 motor boats and directed by Fred Dunn , pilot. This time on the 3rd of May, under a new flag, she did finally attract a small crowd mostly of people related to the Stephens and her former captains, to see her off. Fred Dunn left her under all fore & aft canvas at 7.20 p.m., heading west towards Charlestown, looking not dissimilar to our painting. This bay and headland was very familiar to the artist who could see it from his house behind Par Beach and sailed these waters many and many a time. As Fred Dunn left her, “Waterwitch” was looking for a slant of breeze to clear her for the English Channel and the North Sea. She reached her new home & port of register, Jagarhu on the island of Saaremaa off the coast of Estonia in 30 or 40 days. She then entered the timber trade & garnered her owners at least £400 a year. At the beginning of WW2 she was at Assene, Denmark. She sailed for her home but with the Baltic republics falling to occupation of the USSR, she was lost to British observers excepting one last report from a seaman who had known her well. He said he had seen the ship in a Baltic harbour, in her 73rd year, alas very dilapidated & the old ship was never heard of again. The last English square rigger, an instrument which had served this country well, had left the narrow seas. Waterwitch in a bottle, a model that is, reproduced with the kind permission of Mr S. Bailey of Poole, Dorset. the North Devon Hospice Shop in Barnstaple. Western Morning News, June 1938, April 1939. Copyright © Gordon Frickers 2014. 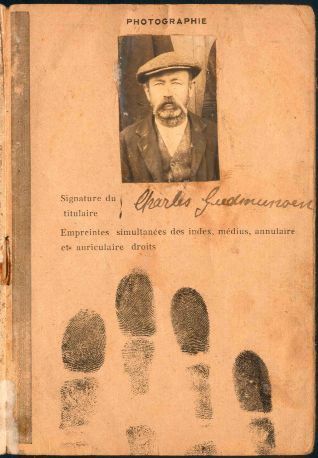 The following are pages from the World War I French identity document of Carl Gudmunsden of the Waterwitch. 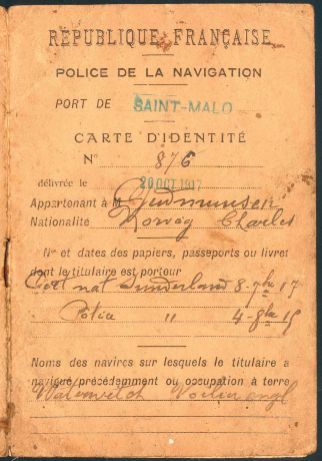 This document was issued in the Port of St Malo on 20 October 1917 and is currently in a family collection, reproduced here with their kind permission. We have had an unconfirmed report from a descendant of one of “Waterwitch’s” Captain’s that Waterwitch was finally sunk in the mouth of a river in Estonia as a barricade during WW2 and left to rot. We have also heard that she sank in a storm off the north coast of Estonia in the late autumn of 1944. Is anyone able to substantiate how Waterwitch was lost? Joseph Thomas Austin described as a mining “adventurer” built the artificial tidal harbour at Par in 1830 thereby for filling a long held dream and a place for exporting his granite and copper ores. Joseph Thomas Austin soon added a ship building and repair yard, sail loft candle factory, a pilchard fishery, a granite yard (for cutting and dressing the stone), and a smelter for galena lead to recover silver. Austin went on to become sheriff of Cornwall in 1836 and bought Place House, Fowey, assuming the name and coat of arms of the Treffry family. The copper mines in the area were very successful in the early and mid 19th century so the local ports and their ships thrived and trade expanded. The name most associated with Par harbour, Tregaskes appeared in the 1860’s when a Saint Austell merchant, Samuel Moss launched the schooner, “Lizzie Trenberth“, built by chief shipwright Richard Tregaskes. It was his son, who was apprenticed to the yard and also served at sea and worked a while in America Benjamin Moss Tregaskes who repaired the Stephens Fleet including Waterwitch and Jane Banks. While Waterwitch and Jane Banks were still using Par Docks, an unusually low 0-4-0 saddle tank locomotive was introduced to Par. Named Judy the engine was built in 1936 and withdrawn from service in 1969. A twin, Alfred was built to the same design in 1953 to replace a vertical boilered Sentinel locomotive and was withdrawn in 1978. Judy was green, Alfred was painted yellow. These engines feature in the hugely popular Thomas the Tank Engine stories, they first appeared in the book Main Line Engines in particular Thomas and the Twins as Bill & Ben. The Railway Series by Rev. W. Awdry. The Reverend W. Awdry wrote many of his books while living near Fowey, Cornwall. Both characters, Bill & Ben have also featured in the spin-off Thomas the Tank Engine and Friends TV Series. We are told, the twin tank engines work for the Sodor China Clay Company. They are painted yellow, have four wheels each and apart from their nameplates, they are absolutely identical — which can be confusing to engines who don’t know them well. They are smaller than the other engines they work with. They are young and cheeky and love playing jokes on the big engines, They work in the china clay quarry and at Brendam Docks, where they are kept busy shunting trucks. Bill & Ben are based on two 0-4-0 tank engines built by W.G. Bagnall of Stafford. The reality was not so different; Judy and Alfred were built for shunting duties at the Port of Par in Cornwall where they shunted china clay wagons between Par docks and the Paddington-Penzance main line. A low bridge crossed the tracks which meant the locomotives had to be built to an extremely low loading gauge, unusually low, allowing them to fit under a bridge that taller engines could not. The bridge still exists at Par near the level crossing and river. Happily, Judy and Alfred are both preserved at the Bodmin and Wenford Railway. Alfred and Judy can be seen running under the guise as “Bill” and “Ben” for “Day Out with Thomas” events. Gribben Head this large day mark appears in the background of this Gordon Frickers painting “Waterwitch off Gribben Head”. The Gribben Head is, from the sea, easily mistaken for the Dodman (a corruption of Deadman, so called because it formerly had a gibbet) and also Saint Anthony’s Head (site of Fraggle Rock, yes the Fraggle Rock of Children’s TV fame). Shipping losses caused Trinity House to erect on Gribben Head in 1832 a distinctive day mark, a tower 84 feet high and 250 feet above sea level to act as a bearing for the ports of Saint Austell Bay, Mevagissy, Pentewan, Par, Charlestown, Gorran Haven, Polkerris, and as a lead mark for Fowey Harbour. When the artist lived at Par, overlooking the beach, his home had a view from Gribben Head to the Dodman, south facing, of the entire Saint Austell Bay. The artist Gordon Frickers lived at Polmear Parc overlooking the Gribben Head and the bay. The Authoress Daphne Dumurier lived nearby and wrote about the district. There may be more to come, Gordon Frickers was contacted in November 2006 by the granddaughter of a Captain, who still lives in Par, says she found the pages told her things she did not know and has more information. “Ken Watkins, whose uncle served aboard Waterwitch as a Trinity House Trainee c.1934, is researching her history. She was sold in 1939 to an Estonian firm and renamed Veeneid (‘Water Maiden’ in Estonian). He believes himself to be the only Briton to have found out, in July 2004 via the Estonian Embassy in London and the Estonian Maritime Museum in Tallinn, that she sank in a heavy storm in Hara Bay, on the north coast of Estonia in the late autumn of 1944. Sadly in October 2006 English China Clay announced, Par Docks is finally due to close. I used to live at Polmear Parc, Par and am again looking at houses in the area, while considering returning to the village. My painting “Waterwitch off Gribben Head” was inspired while I was living overlooking Par beach and sailing mostly out of Fowey. I am one of the last who learnt some of my sailing from former professional seamen and am also a master boat builder and shipwright so the subject was natural, besides possibly you agree, if we who understand do not record these things now they will be lost for ever? We in turn would be very interested to have any further information you are prepared to share. 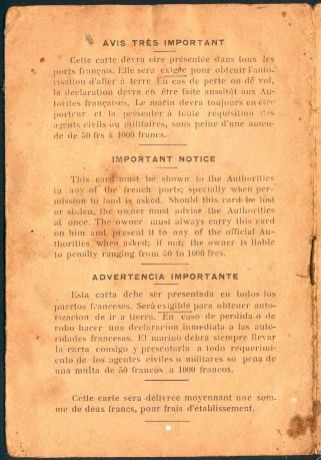 If, with your permission, and should you wish credited to you, it was added to the web site, there are many others who would appreciate reading it. Order a print in our Print Gallery now, or regret missing out for years to come!